Here's a fashion-forward piece to make your heart beat a little faster: two round brooches identical in style, but one about three-fourths the size of the other. 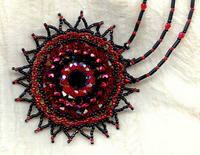 The larger is worked in concentric circles of 4mm red and jet Swarovski crystal bicone and Czech firepolish beads. The smaller is worked in the exact same beads, but in 3mm. Even the seed beads of the smaller brooch are smaller versions of those in its larger counterpart. 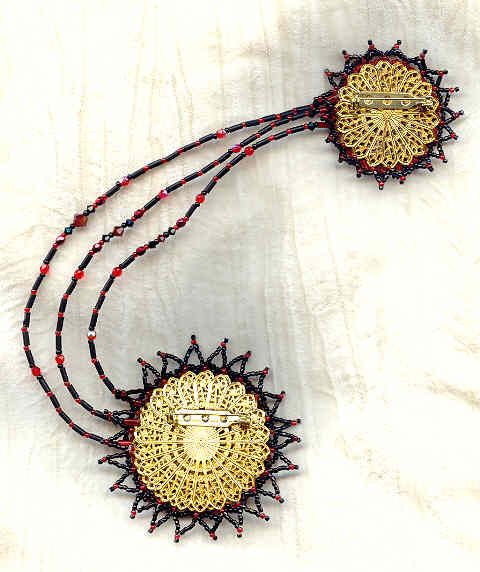 The two brooches are connected by a triple strand of seed, burgle and crystal beads. 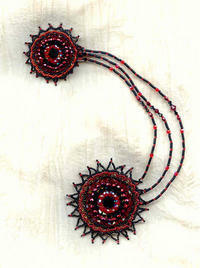 Wear this show-stopper and be prepared for a zillion compliments! As eye-catching as it is unique, this hand beaded beauty is a grand addition to any wardrobe. 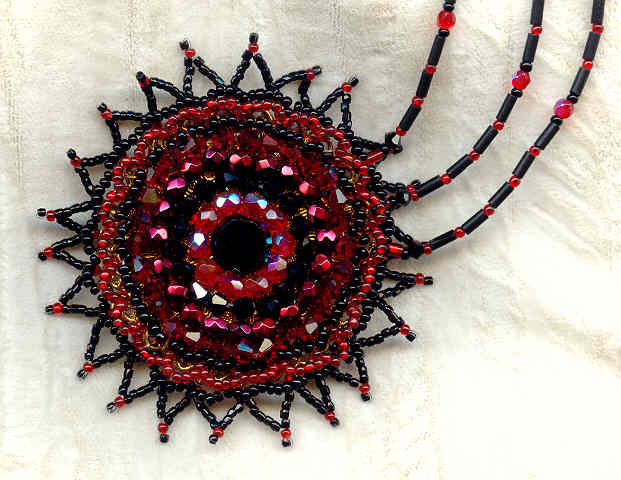 Here is the very last word is sparkle: a jewelry set with dichroic glass wound beads in deep red and jet black. These dangle earrings have a sophisticated attitude.